Mount Pleasant Granary - Monday 30th. 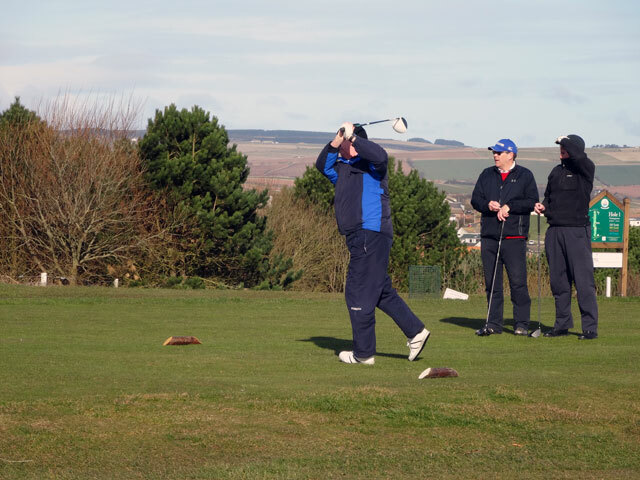 January, 2015 (early) On Eyemouth Golf Course! 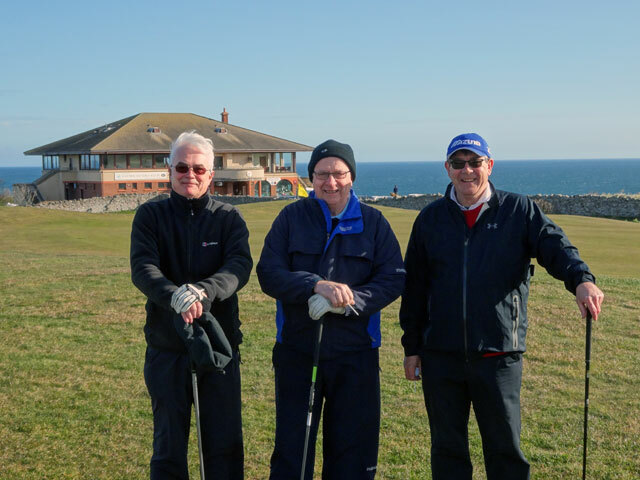 This morning, having walked Mix and dealt with emails, I drove down to Eyemouth Golf Course where the Moderator of the General Assembly of the Church of Scotland, the Right Reverend John Chalmers, and his wife, Liz, were playing Golf as part of their week in the Border Presbyteries. It is a lovely morning, cold but sunny, windy but not yet stormy, and Stephen, the Presbytery Moderator, and I waved John and Liz off on their journey around Eyemouth, a course which to me seems to have the most splendid of views. 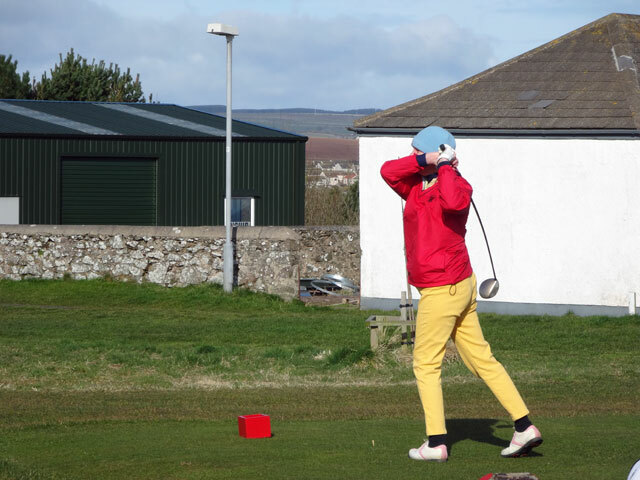 Liz gives the ball a good belt into the wind from the first tee. We hope to see them back at the clubhouse soon after one for lunch.